Do you know the steps to take after a motorcycle accident or how to report a motorcycle accident? Most people know to exchange information and seek medical attention when needed, but filing a motorcycle accident report for the first time, the right away, is an important step to protect you and your property. When it comes to small motorcycle crashes with minor damages, many people assume an exchange of information with the other driver or property owner is all that’s necessary. The following information is important to know if you need to fill out a motorcycle accident report or want to better understand terms used in a motorcycle accident case. If law enforcement is at the scene of an accident, they will likely be the ones to fill out an accident report, otherwise you must complete and submit a Driver Accident Report within 10 days of an accident. It can be accomplished online by going here. Once the report is filled out online, you should also notify your insurance company. If you were not involved with the accident report but would like to obtain a copy of one, contact a motorcycle accident attorney immediately. Not only can an experienced lawyer get you the reports you need to support your case, but they can obtain traffic camera footage that can be vital to support your accident injury claim. In addition, an experienced Milwaukee motorcycle lawyer can walk you through the important steps you need to take after a motorcycle accident and help you manage paperwork regarding medical bills, lost wages and other expenses. When you report a motorcycle accident, you should be familiar with these common types of accident injuries. Suspected Serious Injury - These will be any injuries which are severe and put the victim in immediate danger. If someone is unconscious when removed from a crash scene, this is considered a serious injury even if no other physical injuries are known. Suspected Minor Injury - Less urgent than suspected serious injuries, but still worth noting. These injuries will include broken bones, bumps, bruises and minor lacerations. Possible Injury - When there are no evident injuries but someone involved in the crash is complaining about pain or nausea, they should be reported as having a possible injury. Other signs of possible injury are limping, momentary loss of consciousness and dizziness. Road rash, or road burn, is the most common injury sustained after a motorcycle accident. This type of injury can range in severity, but should always be treated with the utmost concern. Always seek medical help after an accident, even if you don’t appear to have immediate injuries. Whiplash, and other back and neck related injuries, do not always surface immediately. It is important to see a doctor, get treatment early and keep a record of all the medical treatment you have received since the accident. Head-On Collisions - Head on collisions usually occur when a motor vehicle or motorcycle moves into the path of another. The higher the speed, the worse the collision will be. Lane Splitting - This is when a motorcyclist rides between lanes of slow moving or stopped traffic. It’s also known as lane sharing, white lining, strip-riding and filtering. Lane splitting is illegal in Wisconsin. Hitting Fixed Objects - Things like curbs, fences, trees, traffic signs and concrete barriers are considered fixed objects. Hitting Non-Fixed Objects - Non-fixed objects can be pedestrians, animals or bicyclists. Road Hazards - Dangerous roads cause problems, and while a pothole may not do much to a motor vehicle it can cause a motorcyclist to lose control or even be thrown off. Motorcyclists are much more likely to be injured, or become a fatality, than those behind the wheel of a car or truck. Which is why it is so important that motorcyclists do their best to stay visible to other vehicles, follow the rules of the road and always wear a helmet. In addition to filing an accident claim and seeking medical attention, there are some additional considerations you should follow after a motorcycle accident. 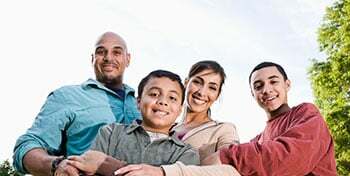 For example, it is important to keep copies of any medical expenses that resulted from the accident. If your injury, like whiplash or neck pain, appear in the days or weeks following your accident, you will need to document and track your required medical attention. Seeking medical attention and saving copies of your expenses will help ensure that injuries related to you accident can become part of your motorcycle accident injury claim, and you can be appropriately compensated. An experienced Milwaukee Motorcycle Attorney can make a greater case for your injuries, helping you get your medical bills covered and your life back to normal. Take two minutes to get a free case evaluation. Every motorcycle accident attorney at Murphy & Prachthauser has decades of experience handling motorcycle accident cases. 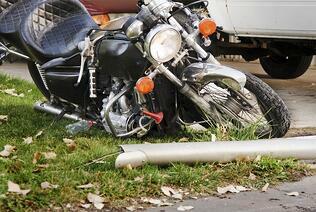 Call one of our Milwaukee area motorcycle accident attorneys if you want answers to your questions. All of our attorneys are happy to take the time to talk to you about your case, explain the process, and answer your questions about your motorcycle accident case. There is no charge for a phone or in-person meeting with an attorney. If you have a case you would like to speak to a lawyer about, please contact us to now for a free case evaluation and get an experienced team of lawyers working on your behalf.